When you are nursing an infant, especially as a first-time parent, you will likely be a total fusspot over every little detail about your baby’s growth and development. You are not alone, and you are not mistaken to be so concerned. When it comes to your first child—or indeed, all your children—you want to be as conscientious about their health as you can, especially in the formative years. The smart mothers start the tracking process from the moment they know they are expecting. But it only starts getting more complicated once your little one is out of the womb. There are many aspects you are going to want to consider. 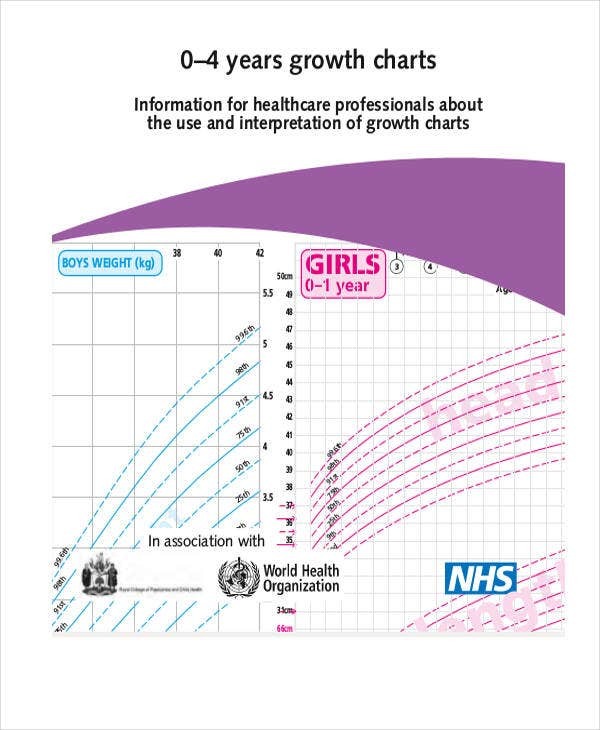 A Baby Growth Chart from this collection might just give you the much-needed guidance you’re looking for, short of running to the clinic or phoning the family doctor for every question. These will help you track your baby’s growth, motor skills, and speech development, among other things. Parents of healthy baby boys and girls are already naturally inclined to be very attentive to their children’s development—but this goes double for those whose children need some extra special care. Whatever camp you’re in, if you’re a new parent, these charts will be handy resources for some of your most pressing concerns. Premature Baby Development Chart will help you through this tricky time while you’re still monitoring your premature baby’s stability. 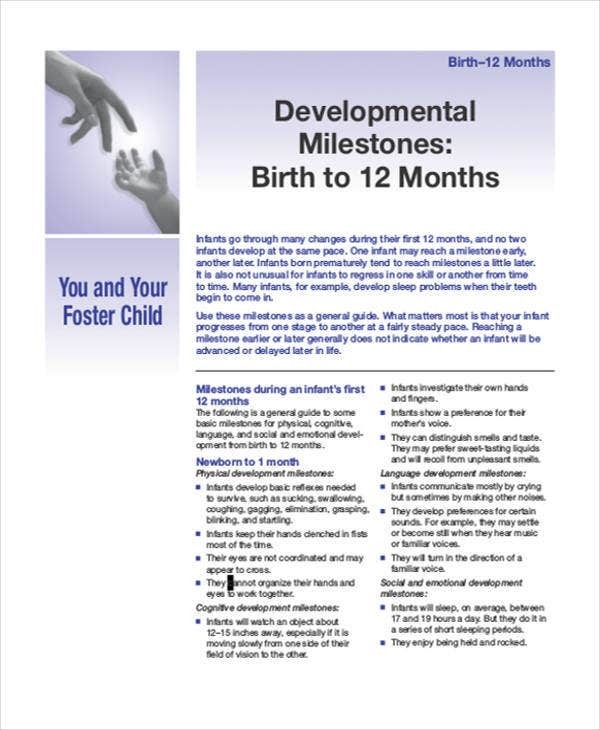 Your baby will be reaching milestones the first 12 months a little later, so be patient. This also contains helpful tips for infants you’ve adopted and are nursing to health. 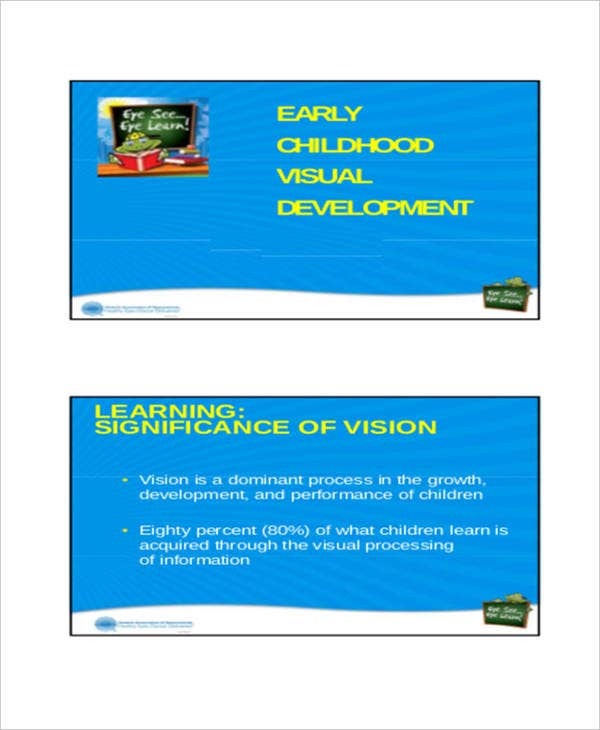 Baby Eyesight Development Chart is a PDF collection of educational slides focusing on the visual development of your baby in the early stages of childhood and its impact on the other development skills, such as acquisition of language. 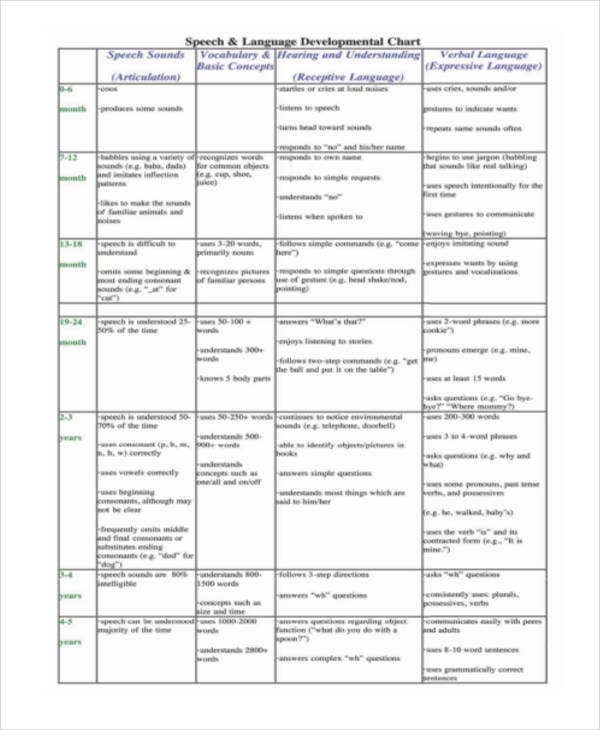 Baby Speech Development Chart will help you determine whether your child is on track, a precocious developer, or a late bloomer. You can then give them the appropriate attention to help them develop on their own pace. 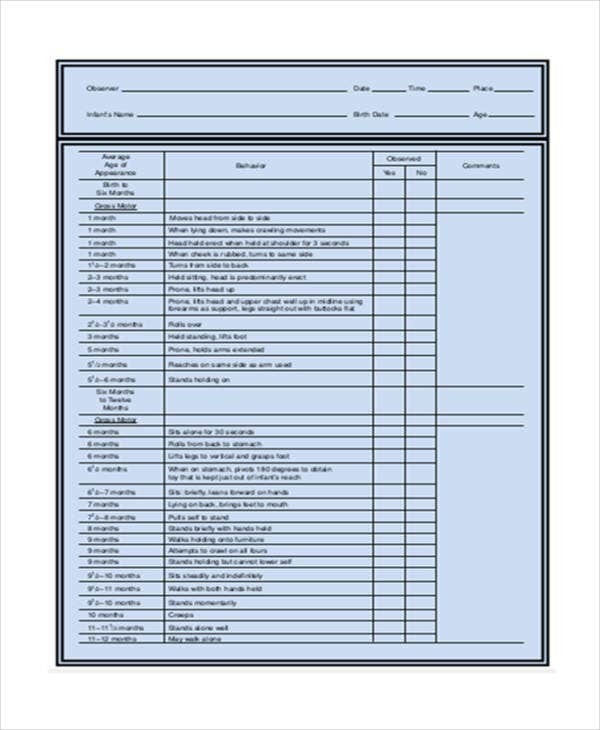 Baby Motor Skills Development Chart is for parents who want to make sure their child’s physical development is going smoothly. Motor skills are either gross motor skills or fine motor skills, and the gross skills will be developed first in infants. 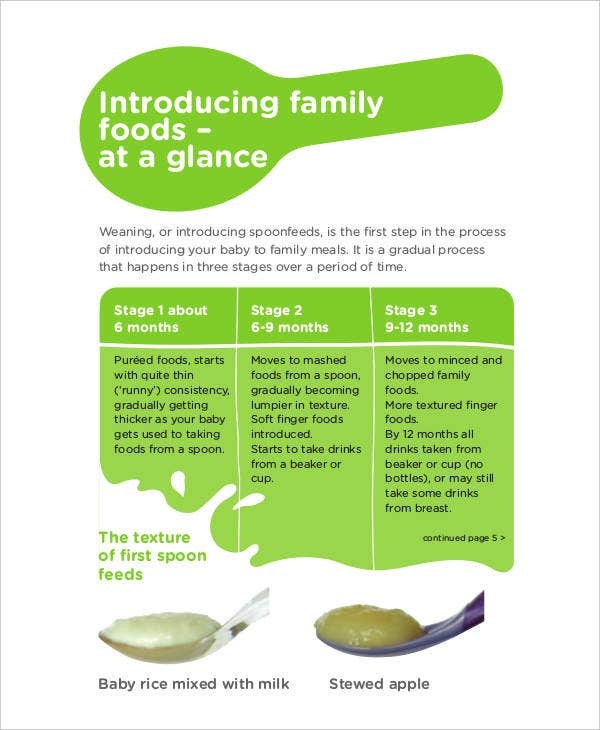 Baby Development Food Chart will educate you about the ideal diet for your child within the first 12 crucial months of their growth. For further questions, consult your pediatrician. 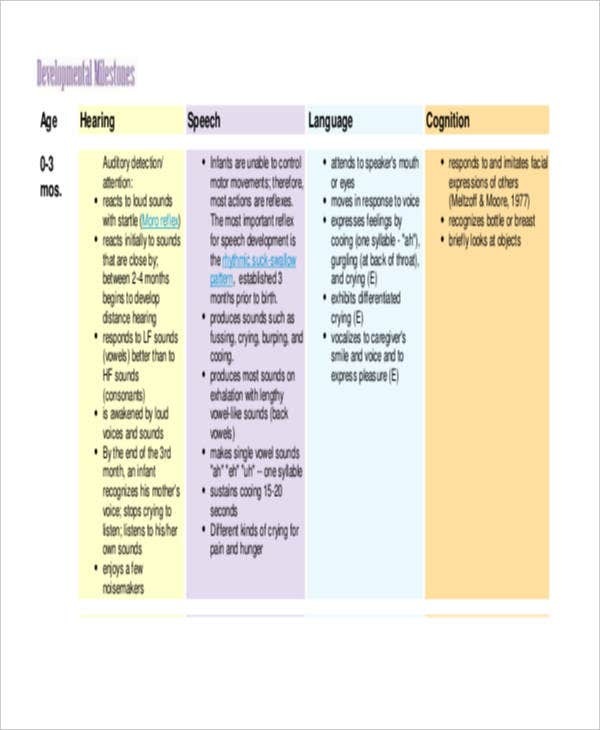 There are other charts to track and measure hearing, speech, language, and cognition based on the child’s age. 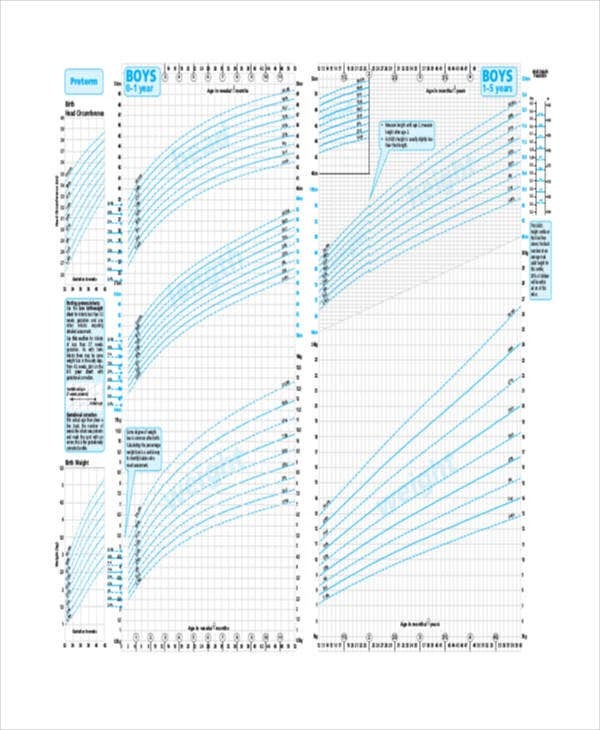 You can even find a Baby Growth Chart Week by Week Template and Pediatric Height Weight Chart Template from our archives. 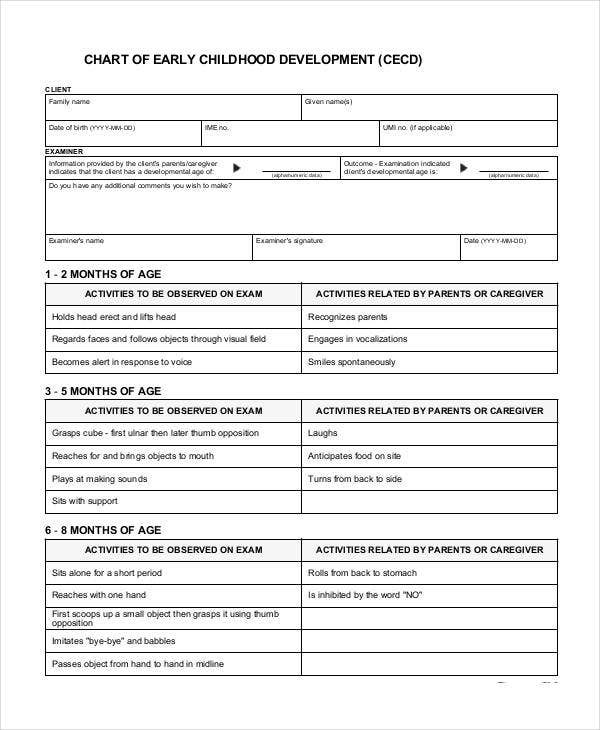 After your child has gone through the first year of their lives under special care, you will naturally want to monitor their health as they advance in age. One thing you will notice is the loss of baby fat. 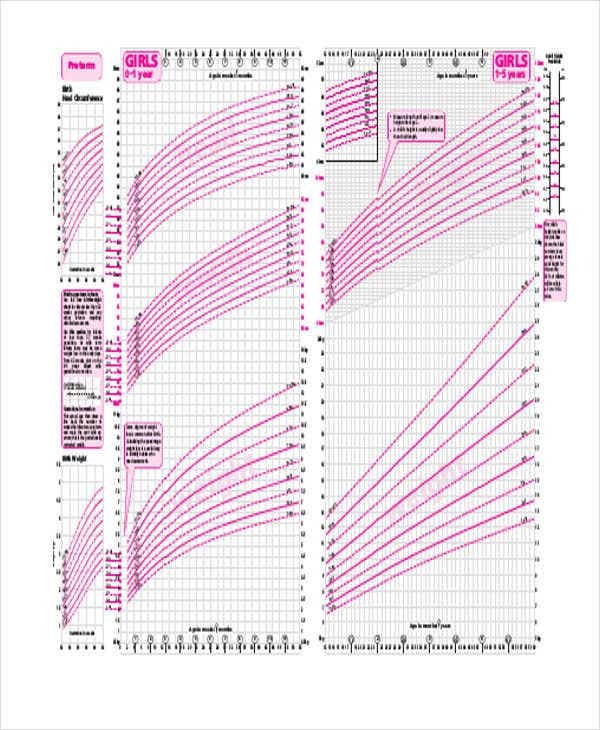 If you’re not sure whether your child is losing the normal amount or whether they have some special dietary needs, it’s recommended to have a good Body Fat Chart by Age as a guide.